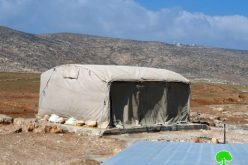 The Palestinian building expansion has been tightened by the Israeli occupation authorities in the village of Qarawat Bani Hassan in recent years. In this regard, more than 22 house demolition and halt of construction notifications were handed over to village's citizens in the last three years. 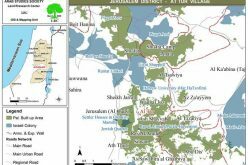 The Israeli occupation authorities claim that the threatened houses were built in the area classified as zone C by the Oslo agreement which is out side the borders of the Israeli announced village master plan of 1993. It is worth mentioning here that few months before the signing of the Oslo accords, the Israeli occupation authorities had finished the unilateral process of drawing up and announcing of master plans for all the Palestinian cities, towns and villages in the West Bank in a step that aimed at creating a new reality on the ground by confining the Palestinian building expansion to certain areas before going into bilateral talks with the Palestinians. As a result, the Palestinians are now paying the price for this unjust policy. The village of Qarawer Bani Hassan is only one example. In many situations, as in Qarawat Bani Hassan, the Israeli announced master plans did exclude some parts of the built up areas which were in existence prior to the announcement of 1993's master plans. For example, an area of 333 dunums from Qarawat Bani Hassan's built up zone enforced by the Israeli authorities on 27.11.1990 was not included in the master plan of 1993 despite the fact that it contained a number of houses whose some dates back to the Jordanian era. According to Oslo classifications, zone C remains under Israeli jurisdiction, and, as such, no Palestinian is allowed to build there unless he obtains permission from the Israeli side. The Palestinian local authorities are not allowed to issue any building permissions in zone C, even, they cannot stop any Palestinians from building in this area under his own responsibility. This situation has complicated matters to the Palestinian local authorities and hindered any possibilities for future expansion. In the meanwhile, the affected house owners live in constant fear because of the threat of demolition. During the Palestinian exodus of 1948, a number of Palestinian citizens from the village of Kafr Bara (currently inside Israel) fled to their extended land to the east of the truce line (armistice line) and began to form a new community under the name of Qarawat Bani Hassan. The post 1948 village is located 7 km to north west of Salfit city and 6 km from the green line. In 2006, it had the population of 3716 ( Palestinian Central Bureau of Statistics). As regards the land area, the village has the total area of 9387 dunums of which only 875 dunums as built up area. Ever since the military occupation of the West Bank in 1967, the land and people of Qarawat Bani Hassan has been under constant Israeli pressure affecting their social, economic and political life. 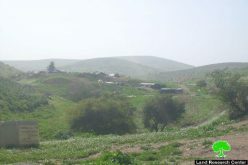 In 1982, for example, more than 55 dunums of the village land were expropriated for the establishment of Kiryat Netafim settlement at the eastern edge of the village ( established in 1982, pop. In 2004 was 419, municipal area is 1540 dunums, built up area is 162 dunums- Source: Foundation for Middle East peace, Washington). In addition, hundreds of dunums were also taken for the construction of the Trans Samaria highway over its southern land parts. 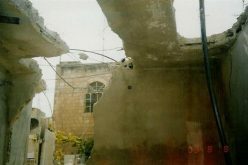 The humanitarian situation sharply deteriorated after the outbreak of the second uprising in the year 2000 where 60 % of population became jobless after the construction of the Annexation and Expansion Wall at the eastern edge of the village. At least 80 families are now totally dependent on external support. 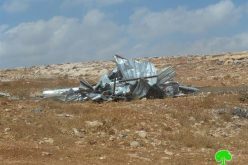 Mr. Mustafa Ahamd Abu Dayyeh, 37 years old, a returnee, had his home demolished by the Israeli occupation authorities on 23.11.2006 in Qarawat Bani Hassan. He said in an interview with LRC field worker: ' I returned home in 1994 as part of Oslo agreements. Afterwards, I started to work and earn money. At the beginning of 2006 I decided to build a house for my family on the only piece of land I inherited from my father. 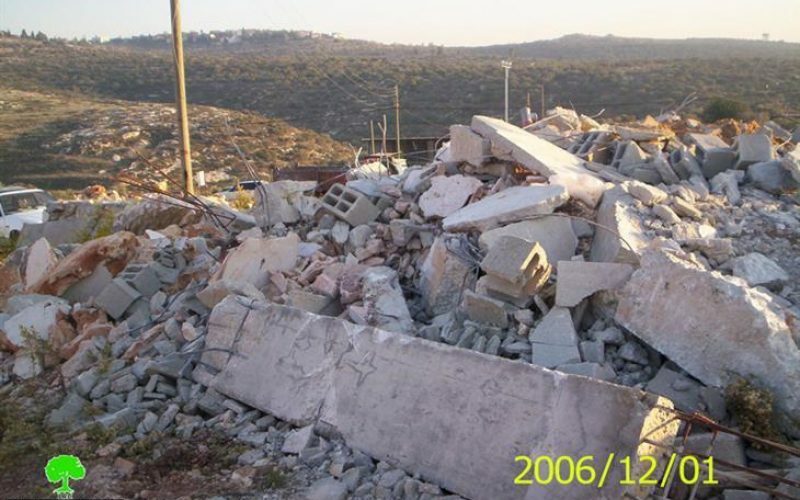 But, in February, 2006, I was given a notification from the Israeli side asking me to halt construction in my house. I stopped all the construction works for a while and resumed them later after I had started legal action through the Jerusalem Center for Legal Aid. The file was presented to the Israeli legal advisor at Beit Eil at the beginning of November, 2006, but, he claimed that it was lacking some technical support and documents. 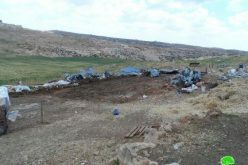 Two days after the refusal to accept the case by the Israeli legal advisor, the house was demolished'. The two storey demolished house was still under construction and un-inhabited at the time of demolition. The house was built at the cost of 38580 JD ( see the attached cost estimate sheet). 3. And, one school which is 120 meters from Abu Dayyeh's house.